December absolutely flew by. There was a weird mixture of emotions as I guess this time of year can often generate-there was some real highs of the whole year in December but also the biggest low for my family. Let's focus on the highlights and review what I got up to in December 2017. 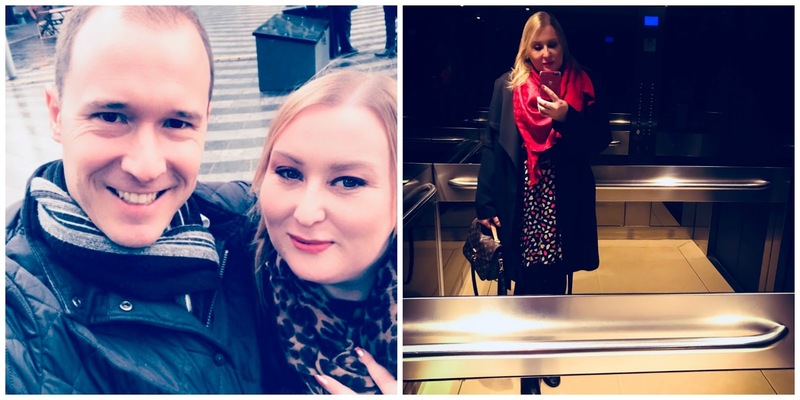 My favourite new place in December was tapas restaurant Toro in City Walk where I met up with my friend Siobhan who has recently moved to Dubai-we met through Instagram a couple of years ago and we're both from the North of the UK so we just clicked immediately. Siobhan was a great person to eat with because she was up for sharing dishes so we ordered several to try and share. 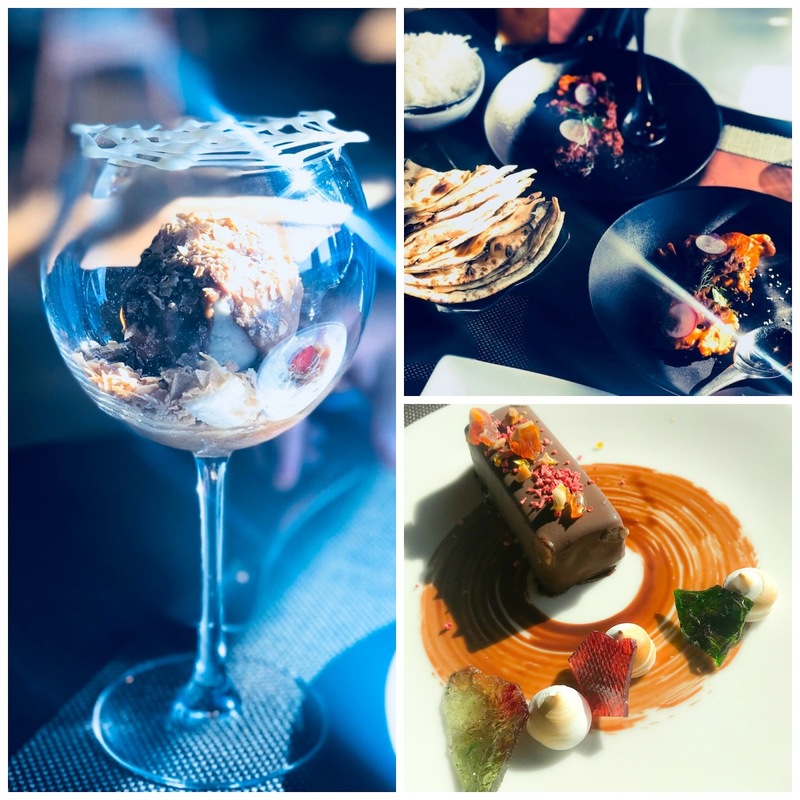 A note on the service which was genuinely phenomenal-all the staff were brilliant but our waiter Taoufik was particularly brilliant-guiding us through the menu and adjusting dishes to suit our tastes. 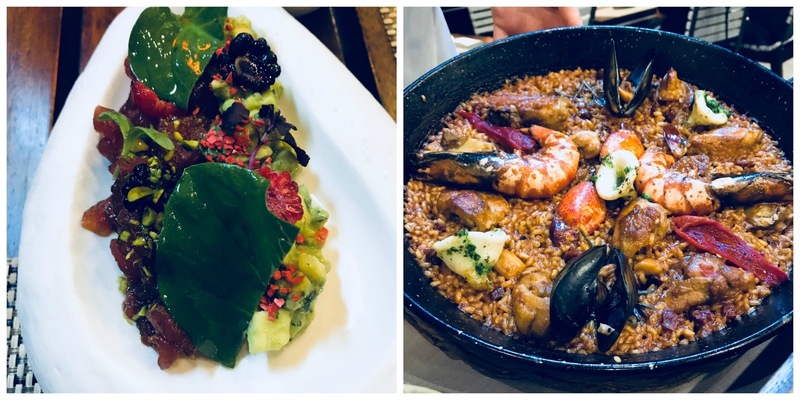 Highlights were definitely the Tartar De Atun (pictured top left), the Paella Mixta (pictured top right) and the Churros-but all the food was tried was very good. As were the cocktails. A definite thumbs up from me and I can't wait to go back. Another relatively new restaurant I tried in December was Sean Connolly at the Opera. We took an 8pm table on a night there was a show inside the theatre so when we got there the restaurant was actually empty and this may be a more happening place pre and post theatre. However, it meant we got the best seat in the house and an incredible table under the stars and the enormous Burj Khalifa. 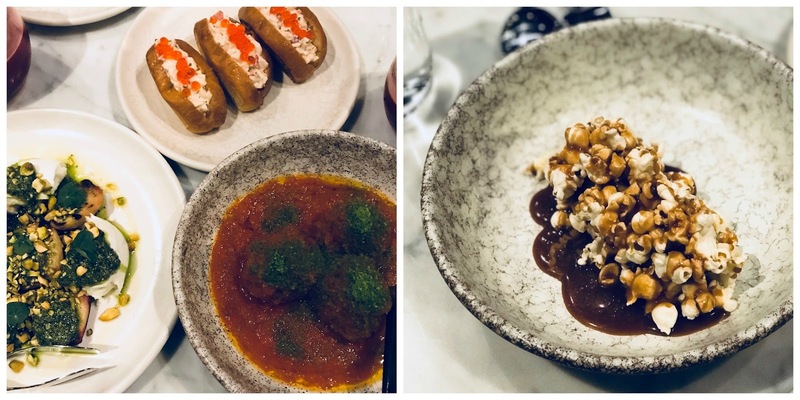 The food is modern British and decent fare-it's also not as formal or as expensive as you would expect a restaurant in the Dubai Opera to be. The starters were definitely the highlights-we shared a burrata and peach salad (if burrata is on the menu I always order it-burrata is life! ), meatballs and lobster rolls-all were excellent. The other courses were solid-I had lamb cutlets and my friend the Wagyu. The desserts were ok but nothing to go wild about. If the menu is seasonal I will go back again and it's definitely a good place to go post theatre for a cocktail with a view. I had my first SALT burger. 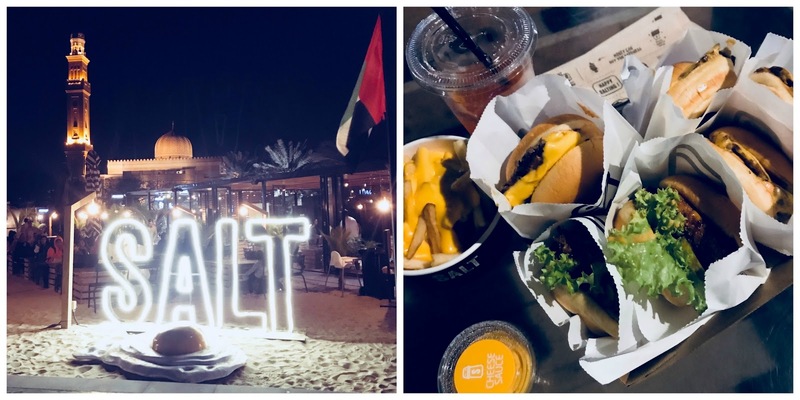 SALT is an independent burger franchise in Dubai that has grown and grown-initially the burger van moved around the city and you had to 'find' Salt which created so much hype but it now has a permanent pitch in the beach in Jumeirah. I love a Shake Shack but I did really like Salt-I liked the setting and it was the perfect post gym treat! 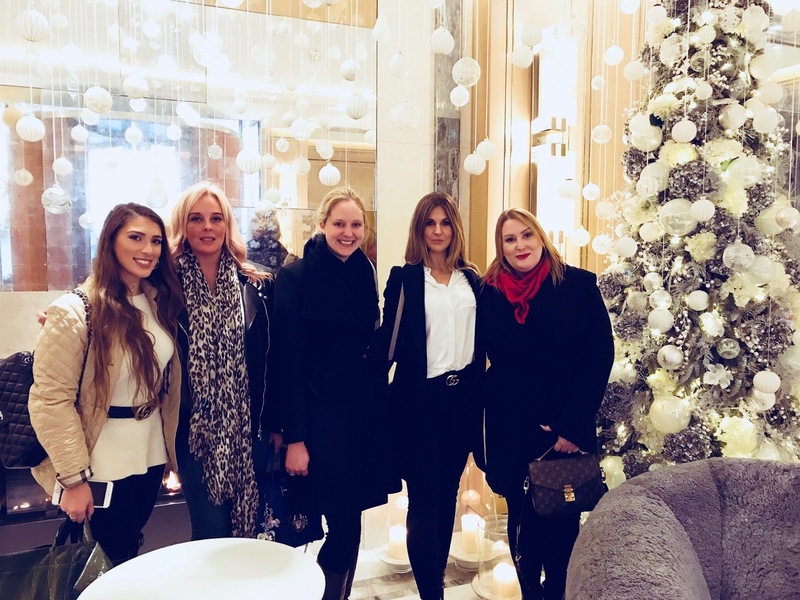 The last new place I visited in December was The Berkeley in Mayfair with 4 of my friends for afternoon tea whilst in London. 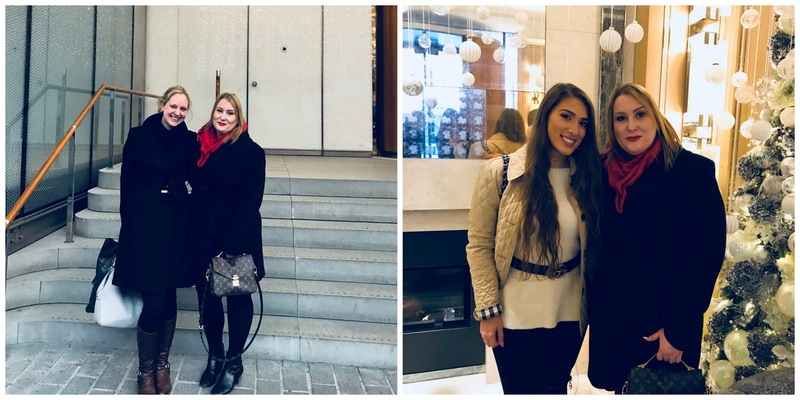 It was so good to catch up with Lis and Sophia, two bloggers I have had the absolute pleasure of meeting in real life in Dubai when they have been on holiday and my friends Dani and Sazzie were also there. 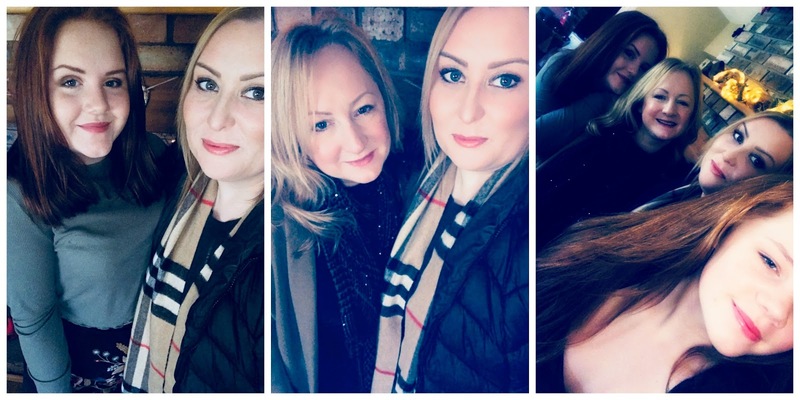 It was a really lovely afternoon tea with plenty of food and cakes and it was so lovely to just sit and chat with the girls-I love them all so much and there was lots of laughing and Danielle taking the mickey out of me which is pretty standard! Dani, Lis and I finished the afternoon in the Mayfair Hotel bar before Lis returned back to Wales. I genuinely can't wait to see all 4 girls again. 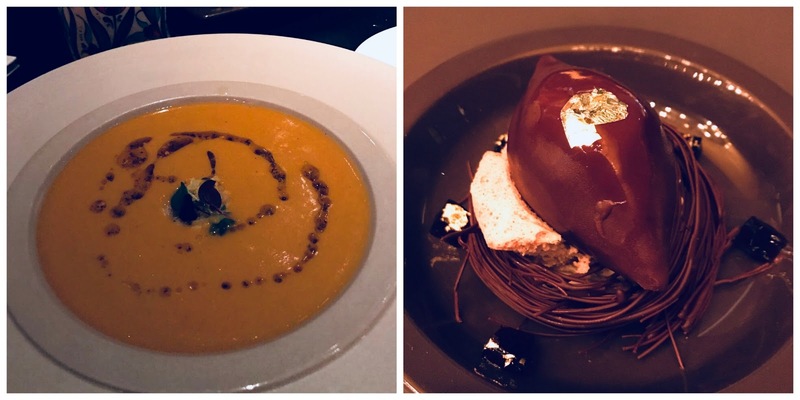 I paid my third visit to high-end Turkish restaurant Ruya and was definitely not disappointed. We sat on the Terrace overlooking the Marina because the weather was absolutely perfect for outdoor dining but the whole restaurant is beautiful and very opulently decorated. 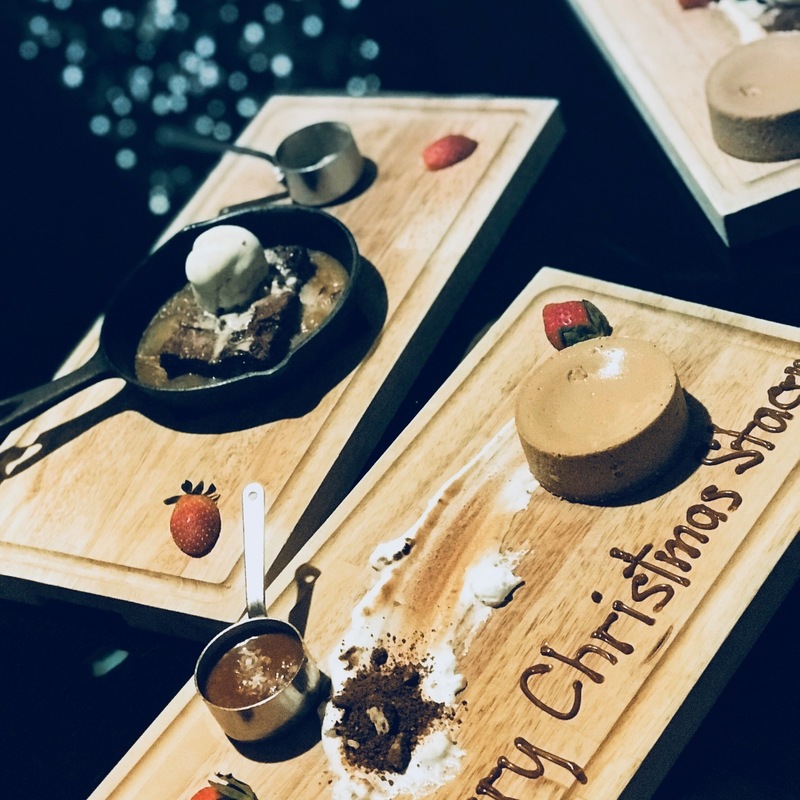 This is a restaurant where I highly recommend you taking the waiters guidance on the menu as it can be a little confusing and trying several dishes and sharing is definitely the way to go. This restaurant is famous for its grilled meat dishes and its Pide however they also have a very good vegetarian set menu which I have had previously. 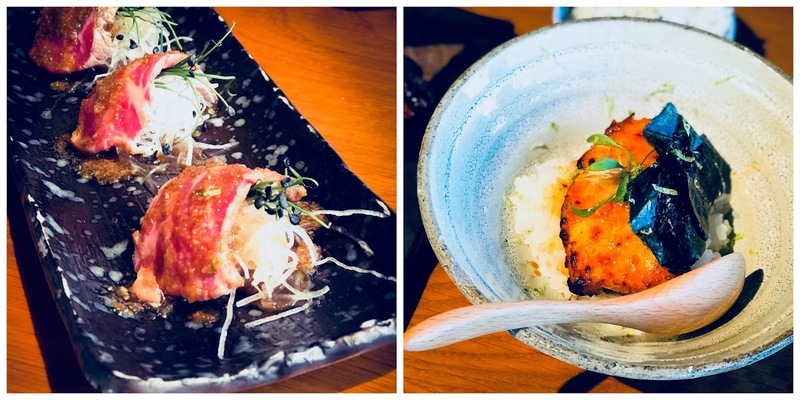 I went to Zuma twice in December with my friend Maz-once to celebrate his birthday and once just because we had some spare time and didn't want a vanilla lunch! 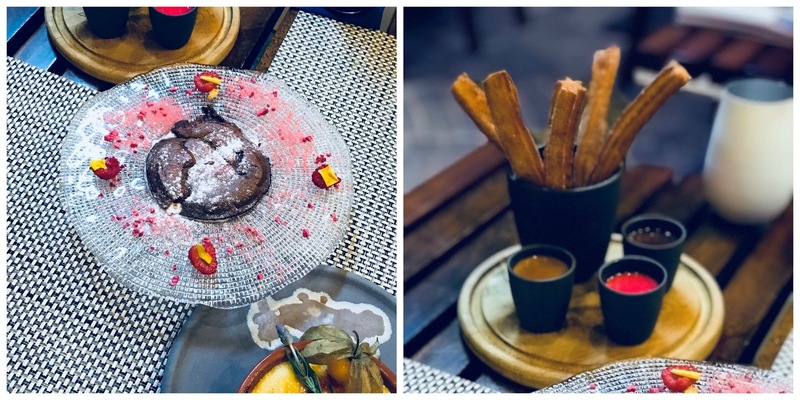 I talk more about Zuma in my food lovers guide to Dubai and there's a good reason it's been in my last 4 monthly round up posts-it really is that good. 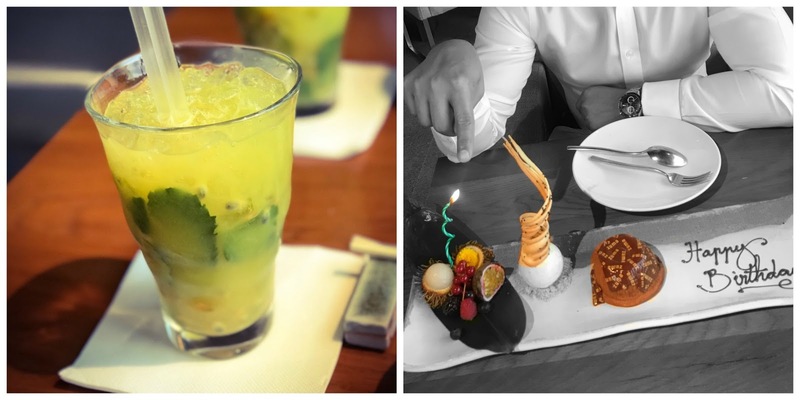 We also tried the business lunch at contemporary Indian restaurant Mint Leaf and this was quite an interesting experience. The good points-the view is exceptional and you can literally see as far as Dubai Marina on a clear day. The food is plentiful and we were stuffed-it was also excellent value for money for the set 3 course business lunch. And the food was delicious as well. What slightly annoyed me was the inflexibility to cater to dietary needs. I was happy to order a la carte so that I could avoid turmeric in the food but the waiter-and the chef believe it or not couldn't pin point which food actually had turmeric in it. And the manager said to me 'if it's marinated in turmeric is that ok?' Erm no. In the end I risked it and went with the business lunch and it was fine but I've never experienced that before-in Amal at Armani they literally bend over backwards for you to accommodate you. Both very similar price points and I would personally choose Armani-I've written a review on Amal here. You didn't really expect a monthly round up without a homage to Gaucho, did you? It was the perfect place to spend my last night in Dubai before flying home to the UK for Christmas and the perfect way to finish our 40 x 40 fitness challenge (more on that later). As usual, Danny and his team were exceptional and the food, service and whole experience was flawless. Looking forward to more Gaucho in 2018-assuming there's no restraining order! ....my family and friends in the UK and my nieces for the first time in a year. And they were an absolute delight. It's so hard being an expat sometimes and I was actually really anxious about my visit home because I always find it so stressful-I genuinely want to see as many of my friends as I can so I end up going from one end of the UK to the other at the speed of light and I feel horrid only spending a few hours each with my friends and end up exhausted and living out of a suitcase. I was so anxious I almost cancelled the whole trip and in the end pushed it back by a week and left on the 21st instead of the 14th because I wasn't mentally able to push myself to go on the14th. I've never felt like that before and still don't understand why. 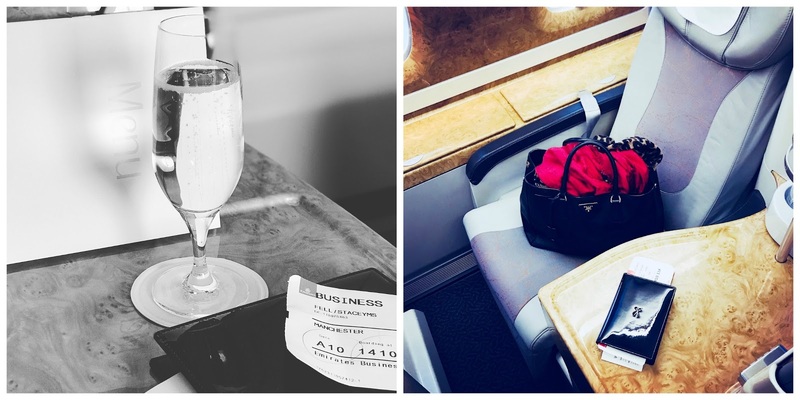 By the 21st I felt ok to travel even though I was totally in denial it was 4 days to Xmas. I don't think I have ever travelled home so late. I am glad I didn't cancel because unfortunately, my grandma passed away on Christmas Day. I did see her when I was at home and I was with her on Christmas Day and my mum and aunt and uncle were with her when she died. My heart literally broke for my mum and I felt an enormous amount of guilt leaving-especially as the funeral isn't until Friday this week. Another incredibly difficult part of being an expat because I want to support my mum. On to happier things, I did manage to catch up with some of my friends in London as you saw but it's such a busy time of year for everyone that there were sadly others I wasn't able to see. I had lunch with my old boss Nick who is such an inspiration to me and I spent a lot of time in London with Danielle my best friend. 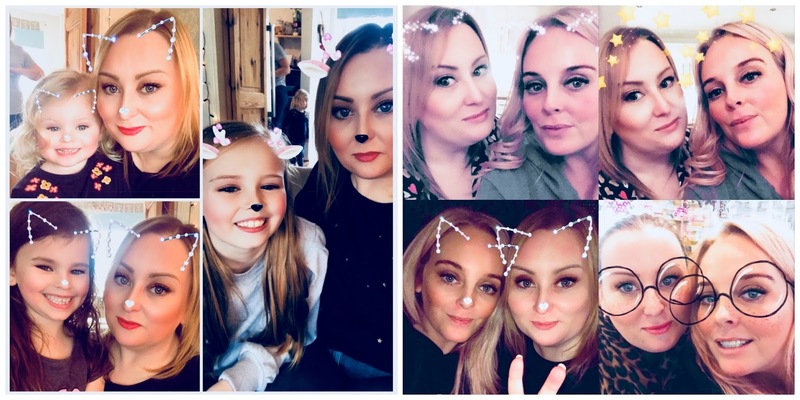 I managed to see my oldest and very treasured friend and my god-daughters and my family which was really important to me. I also much prefer dressing for winter than summer! The highlight for me was realising that my body could do things I didn't think was possible. We did back to back gym classes most days and rather than feeling exhausted I felt elated. 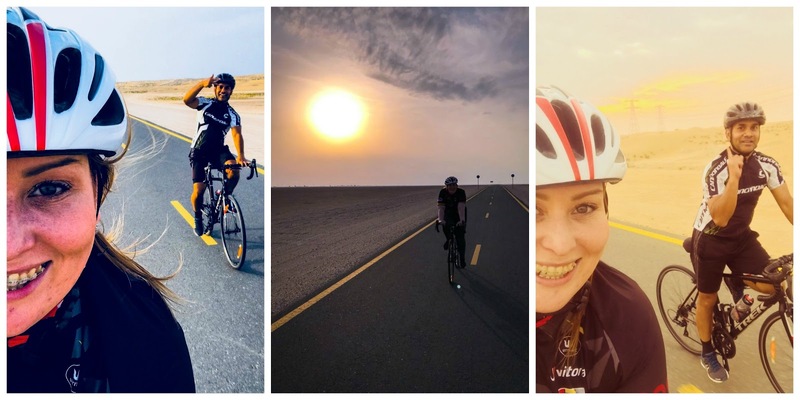 We did the Al Qudra cycle path twice in December-that's 100km in total within a week. The first week we did it, a gentleman said to me if it was my first time he recommended that I only did the 'easy' 20km run and I retorted 'no we're going to do the full 50km' and we did it. And we did it again the next weekend and then again the weekend after. 150km in total from when our challenge started. When Maz and I told people in the office we had done it they were shocked and I could see in their eyes they couldn't believe that obese Stacey Fell could just go out and do that-except Maz-he has never ever once doubted me and I owe him a huge debt of gratitude for supporting me and believing in me all the way through this challenge. Working out was never boring and it was never a chore with him there and I highly highly recommend having a gym buddy because it made such a massive difference to me. Not only do I feel physically fitter but I feel more focused, calmer and happier. I lost almost 7kg in the challenge and am hoping this is now a foundation to lose another 20kg in 2018. The highlight of the year? 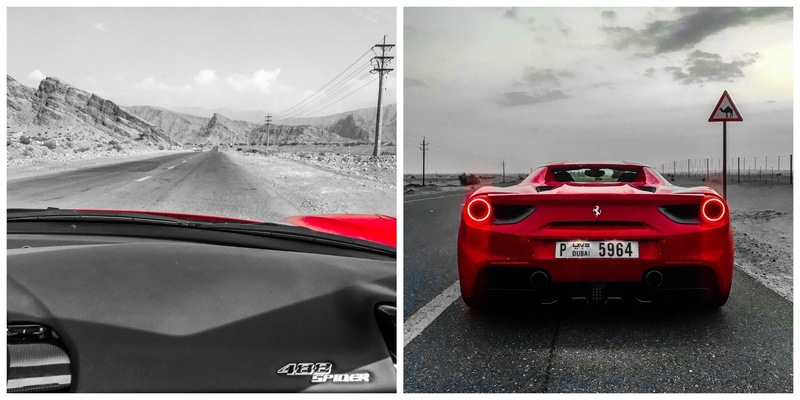 I think 2017 was a great year despite whatever challenges cropped up along the way but hiring a Ferrari 488 Spider and driving out to Jebel Jais as a birthday treat has to pretty much top the 2017 memories. 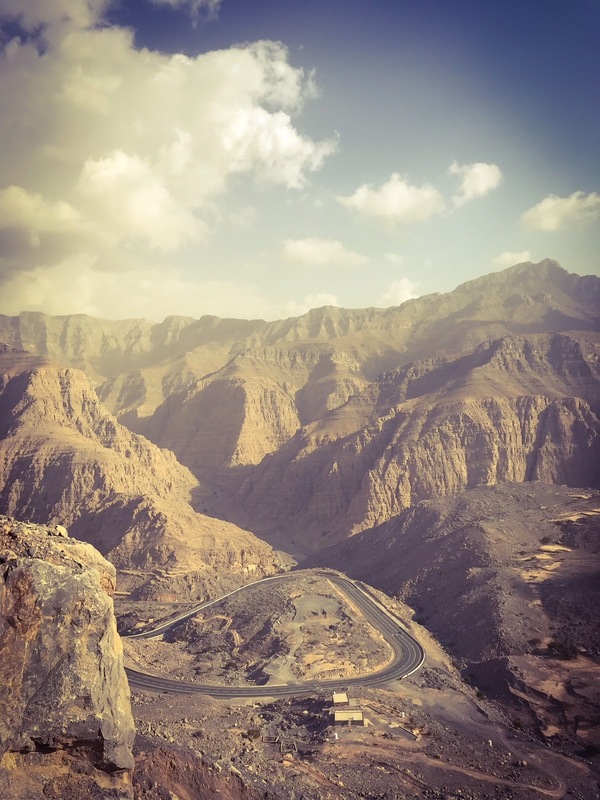 What an amazing location-Jebel Jais is the highest point in the UAE and it was absolutely, incredibly, beautiful. Its a typical UAE thing-like Jebel Hafeet, its a road to nowhere (at the moment)-you drive up to the peak-then you drive back down again. But the road is smooth and wide and an absolutely incredible driving experience. 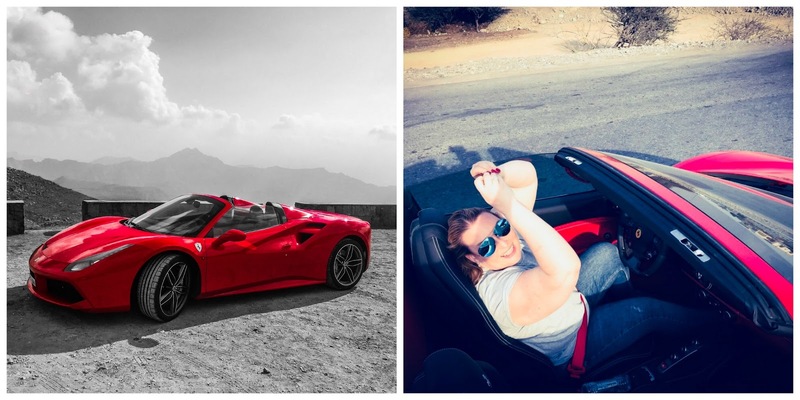 The vistas are stunning and the sound of the Ferrari roaring through where the open road cuts directly through the mountains is something I won't ever forget. Everything was perfect (apart from the tiny fact I got us slightly lost on the way home and onto some no mans land rubble strip in the pitch dark) and I feel like Jebel Jais was an incredible discovery in an incredible car. 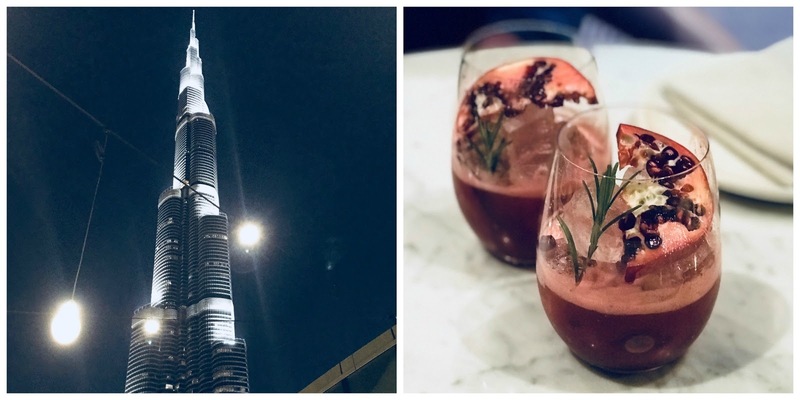 I've literally run out of adjectives and feel in this post I have probably overused 'phenominal', 'amazing', 'incredible' and the word 'absolutely' but Dubai in the winter really cannot be beaten and there were so many good things packed into December. A new year is now here! And I'll finish by wishing you all an amazing 2018 and by thanking you all sincerely for your support, kindness and love. I can't wait to see what this year has in store.